The business world is often an unforgiving one, where the punishment sometimes doesn’t seem to fit the crime. If you have a franchisee who makes a small mistake that is about to cause catastrophic problems within their business, you need to know what to do ahead of time. A franchisee who has recently missed a tax payment can be one small step away from a bank levy. An interest rate, added on to a late filing fee, added on to a late payment fee can take a easily paid tax bill and turn it into a cash shortage situation. A franchisee that misses an insurance payment may face termination of the insurance policy, violation of lease terms, and also puts the franchisor at risk. A franchisee who is about to miss payroll could be facing the loss of their entire staff in business. Poor cash flow planning, precipitated by anything from a downturn in sales to a personal life crisis, and leading franchisee from success to shuttered windows in an unbelievably rapid time-frame. Regardless of who’s at fault, the franchisor is always hurt by the loss of a franchisee. If a rapid capital infusion could make the difference between a tight situation and a failed franchisee listed in your Item 20, it seems self-evident that having a tool at your disposal is in your best interest. 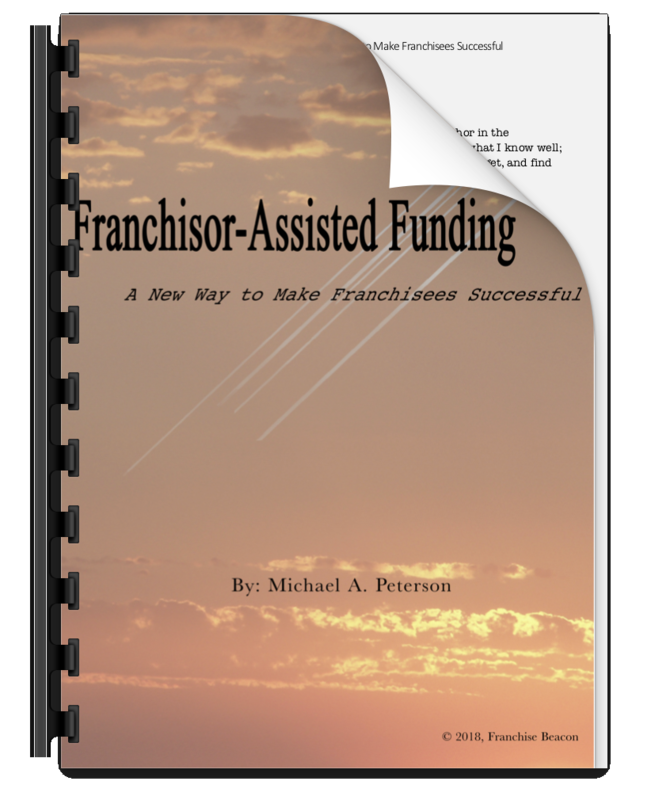 If you have the Franchisor-Assisted Funding Program in place, you will have a place to turn in times like this. If you don’t, and you have a franchisee in the situation right now, we can still help. Whether proactively or reactively, reach out and schedule a call with us today. We can review the unique needs of your franchise system and design a program that helps your franchisees both in times of success and in times of struggle.